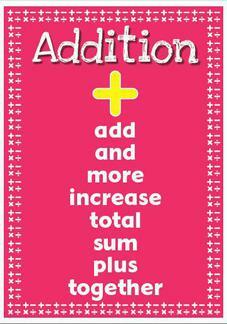 Welcome to the 'maths' page of our website. Mr. Dale hopes that you will find it a valuable source of information about how maths is taught at Bridgetown Primary School. Please find below the presentation of our Spring Maths Inspire Workshop. Thank you for all of your support and we hope you found the workshop useful. The Key Skills booklet will also provide you with ideas for quick games you can play with your children at home. 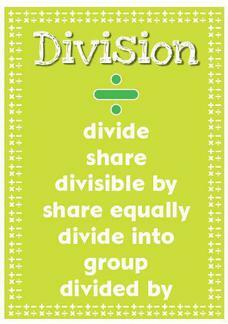 Click on the image above to link to 'MyMaths' homework. The image above provides link to 'Times Tables Rock Stars'. 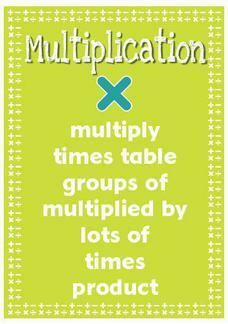 Click on the link to play maths games, word problems and puzzles . 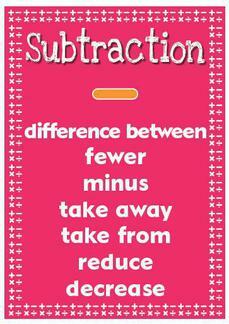 How many of these words do you know for addition, subtraction, multiplication and division?